Everyone deserves to have a clear and radiant skin, and you are not an exception, so having an acne prone skin should never be a hindrance. Win the fight against acne with the help of acne face wash a product formulated specifically to help you prevent, banish and cure acne! Although I have to warn you that rushing to the store to get any product available on the shelves will not be of any help, because people suffer from different types of acne, and more so not all the products available on the market might work for your skin, others may be harsh and thus make your acne even more worse, of course we don’t want that to happen, which is why we have provided you with a full guide together with a wide range of the most top rated products on the market to help you deal with acne prone skin. Read on to find out how to banish, cure and prevent acne with the help of acne face wash…..
Gently massage and apply the product on your face, you might use a sponge, a brush or your fingers, whichever works perfect for you, but you must ensure that the sponge and brush are clean before using them, this also includes your fingers. Let your acne face wash sit for about 30 seconds or 1 minute to enable it kill all the bacteria and germs, then wash it off with lukewarm water. Always apply your moisturizer so that your skin doesn’t feel super dry. You may also apply a toner as one of the additional ingredients. Remember to apply your sunscreen, because your skin needs all the protection it can get. Use the product twice daily, in the morning and in the evening if you have severe level of acne, but always follow the prescribed usage indicated on your product. If you really want to protect your skin from any further damage or prevent any damage, then you must choose a product that will be gentle but not harsh to your acne prone skin. This can only be achieved if you know you skin type. Some products have been specifically formulated with ingredients that work best for oily skin, others for dry skin, others for sensitive skin, others for normal skin while others work best for all skin types or combination skin of both dry and oily. If you have sensitive skin it’s best to choose a product which is fragrance free and has no additives or preservatives so as to avoid any irritations. Choose a product with the best fighting acne ingredients for your skin type, ingredients should be gentle and effective to help you prevent and cure acne. 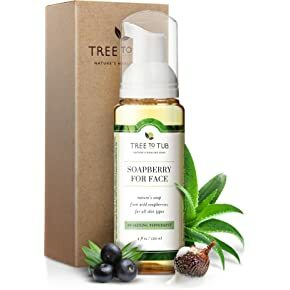 Always go for a product with ingredients that are organic, since they are best known for their anti-bacterial and anti-inflammatory properties, so is best that you go for something formulated with natural and organic ingredients like for example tea tree oil and aloe vera, although tea tree oil might be a little bit harsh for sensitive skin. If you have oily skin then you should also consider a product which is oil free or doesn’t contain oily substances. Look for a product that can also moisturize your skin, the worst thing you could ever do to your acne prone skin is letting it be super dry, especially if you have a dry skin. Benzoyl peroxide is also one of the most effective ingredients best known for curing acne and getting rid of excess oil or any dead skin cells which may clog your pores. This product is skin friendly to most of the skin types, so if you are not sure which ingredient work best for you skin type, then you may pick a product with benzoyl peroxide. Products formulated with charcoal helps to get rid of impurities, and bacteria by soaking them up without drying off your face, this ingredient helps to unclog pores. If you have dry or sensitive skin you may consider getting a product formulated with aloe vera or charcoal. Dead skin cells caused by dryness highly contribute to skin flare up, this is why you need a product which will clean up all the build up from toxins, dirt and remove all the dead cells thus preventing your pores from clogging. One might suffer from moderate, mild or severe acne, so you have to select a product with the most suitable or appropriate strength to effectively fight the level of acne you are suffering from. This is because if you have severe acne and then you end up purchasing a mild product then it might not be effective to fight against your severe acne. If you have severe acne, then products with benzoyl peroxide and salicylic acid will help you fight against acne more effectively, but you might find that these ingredients might be a little bit harsh for someone with moderate or mild acne. Always check the percentage or concentration of the active ingredients in the product before you purchase it. If you have very severe breakouts and your acne is mainly caused by excess sebum or it’s hormonal, then you have all the reasons to get this product. Get rid of all the red, swollen and the most painful acne bumps with the help of this product which has high percentage active ingredient specifically formulated to banish and cure severe or moderate acne. 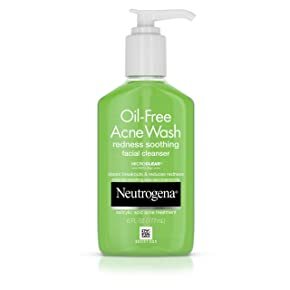 The unique and high concentration of the active ingredient contained in this product is what makes this acne face wash the best for any face that looks like a war zone as result of having an acne prone skin. The active ingredient included in this product is best known for exfoliation, ant-inflammatory and anti-bacterial functions, which is why it’s the most recommendable product to fight severe acne and also prevent future breakouts which are hormonal related. Prevents and clear acne by killing the bacteria causing acne. If you are lover of natural and organic products, then I bet you will definitely fall in love with this product. This product has been formulated with nothing but pure natural and organic ingredients which are best known to be effective when it comes to dealing with acne prone skin. These organic ingredients are skin friendly to all skin types, but of course you must make sure that you are not allergic to any of the listed ingredients. But the best thing is that the ingredients in this product are free from any reactions or allergies since they are herbal and organic without any chemicals or additives. 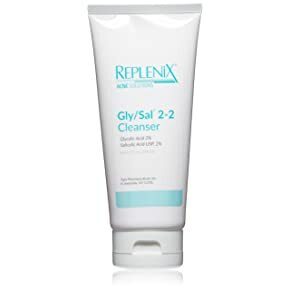 Unlike other acne face washes which have an active ingredient, this product doesn’t contain any active ingredient thus making it the best natural product to fight against acne. Takes some time to see noticeable results, so you must be patient. This product is a lifesaver for oily skin types, because it is strong enough to remove excess oil without clogging your pores. This product has an active ingredient which works better for oily skin without stripping it. 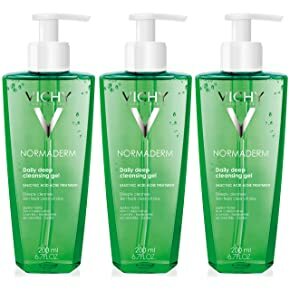 Although I wouldn’t recommend this product to dry, sensitive or combination skin type because the ingredients in this product may cause severe breakouts to such type of skin. And when it comes to cleaning and refreshing your face this product does it all, making it easier for you to apply your toner, moisturizer, mask or serum. Generally, this product works well if you want a clean skin and the most important thing if you have oily acne prone skin. For other skin types please do a test first to know if it might cause any breakouts before you start off with the product. 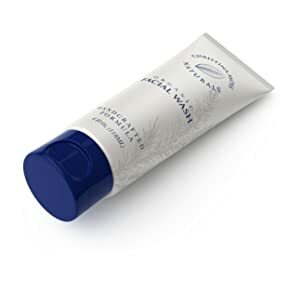 This product is an approved dermatologist mild acne face wash to help you get rid of toxins, dirt, impurities and makeup without drying out your face. It is best when it comes to penetrating deep into your and draw out all the dirt thus unclogging your pores and also deeply cleansing your face leaving it fresh and clean. Its ability to deeply cleanse your skin makes it the best product to prevent any future breakouts thus keeping your acne prone skin healthy throughout. If you are fighting against rosacea, then this product is definitely for you. I wouldn’t recommend this product to people with sensitive or dry skin, because it may cause allergic reactions, but if you have normal or oily acne prone skin then this product is worth purchasing. For the severe irritating acne that just won’t give up or quit, this product is here to help end and win the fight against acne once and for all! This product lathers up your skin removing any buildups, thus curing acne and preventing any future breakouts. Get rid of the excess oil with the help of this product which deeply clean your pores, killing all the bacteria causing acne and exfoliate your skin, due to its acne fighting active ingredient. But something to note about this product is that it cannot be used on sensitive skin since the active ingredient in this product may be harsh on such type of skin. This product works perfectly for oily acne prone skin. If you are someone who experiences lots of occasional breakout and redness, then look no further because this product is just what your skin needs! If you want to get rid of blackheads and whiteheads, then this is the most appropriate product to do the job. The high percentage of active ingredient contained in this product makes it the most suitable to banish and cure acne thus giving you a clear and healthy skin. If you have an oily acne prone skin which gives you a hard time by producing excess oil, then you need to incorporate this product in your daily skincare routine, since it helps to prevent clogging, eliminates bacteria and performs the exfoliation function. Remember to do a spot test to know if the product may cause any allergic reactions to your skin before applying it on your face. 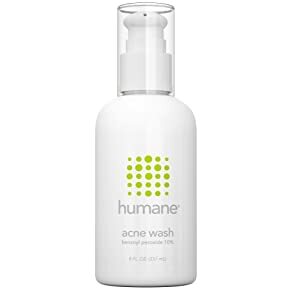 If you have sensitive or combination acne prone skin, all you need is an organic product and this acne face wash just has what your skin needs. Being a pure and all natural product makes this acne face wash the best when dealing with combination and sensitive acne prone skin, this is because there are no any preservatives, or chemicals which may be harsh to your skin or cause any breakouts. 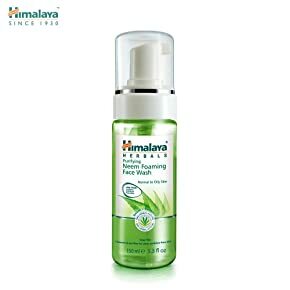 Generally this product has been hailed as the most gentle and effective acne face wash by most of the users, since it does not cause any allergic reactions and most importantly it helps to fight against acne. The natural ingredients in this product helps to keep your skin soft while retaining the moisture throughout and also relieving any redness or itchiness. Honestly speaking, I could not find any cons on this product, because most users love this organic product since it’s not only gentle on their skin but also super effective. 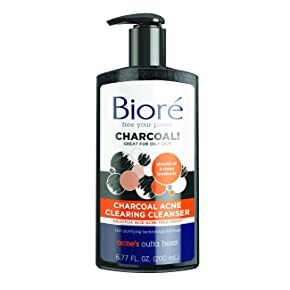 If you have an oily or combination acne prone skin, then you need to make use of the ingredients included in this product since they are best combination when it comes to unclogging your pores and removing oil or dirt build up, thus not only curing acne but also preventing future breakouts. It deeply cleans your skin and kills bacteria causing acne thus keeping acne at bay especially if you are struggling with acne. If you are suffering from excess oil or sebum, then you need to incorporate this product in your daily skincare routine to help you remove and minimize the excess oil. It gives you a tingling sensation after using it, making your skin stay happy and refreshed throughout the day. Want something more natural and organic in your daily skincare routine? Search no more, because this acne face wash is here to help you fight against oily acne prone skin once and for all! 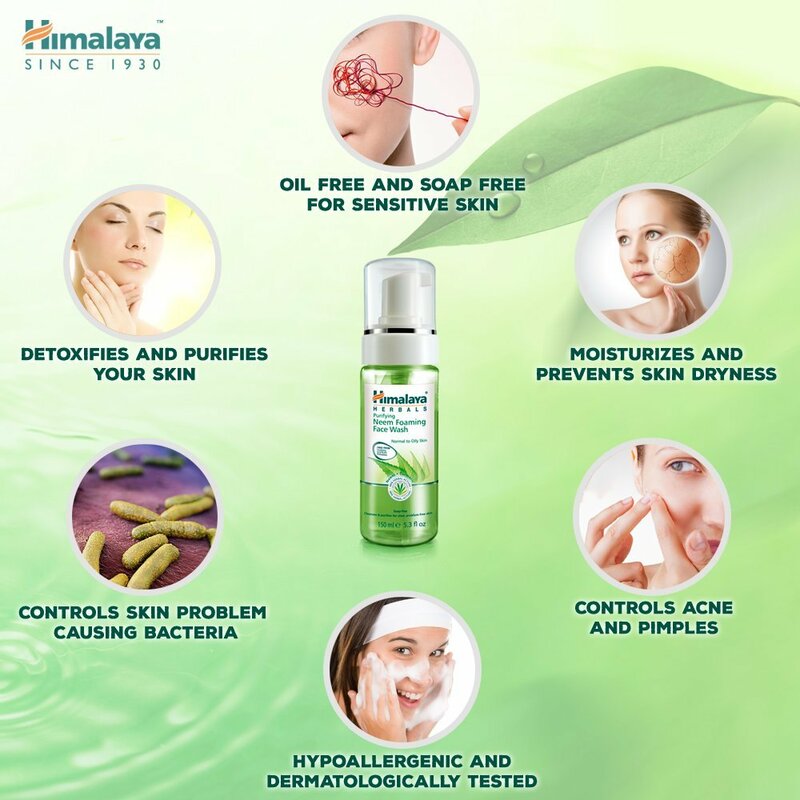 This product has natural ingredients to help minimize and remove excess oil, buildups, and eliminate all the bacteria causing acne, thus not only curing acne but also preventing any future occurrence of acne. 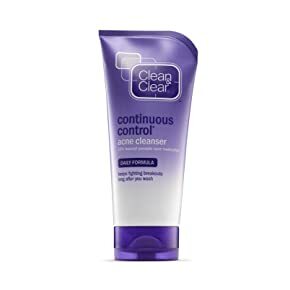 This product does not contain any harsh chemicals, although I would not recommend it on sensitive or dry skin because some users have reported breakouts and allergic reactions after using the product. But if you have oily or combination acne prone skin, then you may use this product to help fight against acne. If your acne is cause by hormonal effects due to pregnancy, then I would definitely recommend this product since it has natural ingredients with only a small amount of an artificial ingredient. This product is a game changer when it comes to clearing all breakouts of all kinds, get this product and solve almost all the problems of an acne prone skin! An acne prone skin easily flares up upon exposition on any germs or dirt, but this product helps to prevent any skin infections and deeply cleanses your skin thus preventing any breakouts from occurring. The natural ingredients in this product help to keep any hormonal breakouts at bay and keep your acne prone skin in check. So far most of the users love and enjoy using this product, there are no reports of serious cons that will make you not purchase this product, so I would definitely recommend it for all skin types which are prone to acne. If you are looking for a mild yet effective acne face wash, why not give this product a try to help you keep your acne in check! The active ingredient in this product is highly effective when it comes to fighting against acne on oily and also normal acne prone skin. Oily acne prone skin needs deep cleaning to prevent any clogging of the pores as result of the excess oil produced, which is why you need a product which can exfoliate your skin to the maximum and this acne face wash offers just that. The fact that this product is bacteriostatic makes it possible for it to prevent any future breakouts by limiting and preventing the growth of bacteria causing acne. More so it helps get rid of dead skin thus unclogging the pores making your skin look smooth and healthy throughout. What makes this product unique is the fact that it has been included with the best combination of ingredients, which helps your skin reap a wide range of benefits from it. This product not only helps you to fight against acne but also ensures that you achieve a smooth and even toned skin due to the fact that it helps remove surface dirt from your skin. The active ingredient in this product promotes exfoliation by unclogging pores and removing dead cells from your skin thus making your skin clean and refreshed. This product also reduces excess oil produced by your skin and also sooth any redness and inflammation that occurs as a result of the excess oil produced. This product is best for oily acne prone skin. Q: Can one use acne face wash if they don’t have acne or blemishes? A: Yes, you can always incorporate this product in your daily skin care routine especially if you have acne prone skin, but you should go for an organic product or mild product and always apply a dime size amount. Q: Does acne face wash remove makeup? A: Of course yes, it removes all the impurities, dirt, toxins and makeup leaving your skin super clean. But you can also choose to remove your make up first then apply the acne face wash.
Q: Which moisturizer is recommended after applying this product? A: Always go for a moisturizer that is non-comedogenic or oil free. Q: Can men use this product? A: This product can be used by both men and women with acne prone skin. You should always put in mind the type and needs of your skin before purchasing the product. After knowing your skin type then am sure you will have no problem when it comes to choosing the right acne face wash for your skin. Make your pick with the help of our full guide and reviewed products and say goodbye to acne prone skin once and for all!